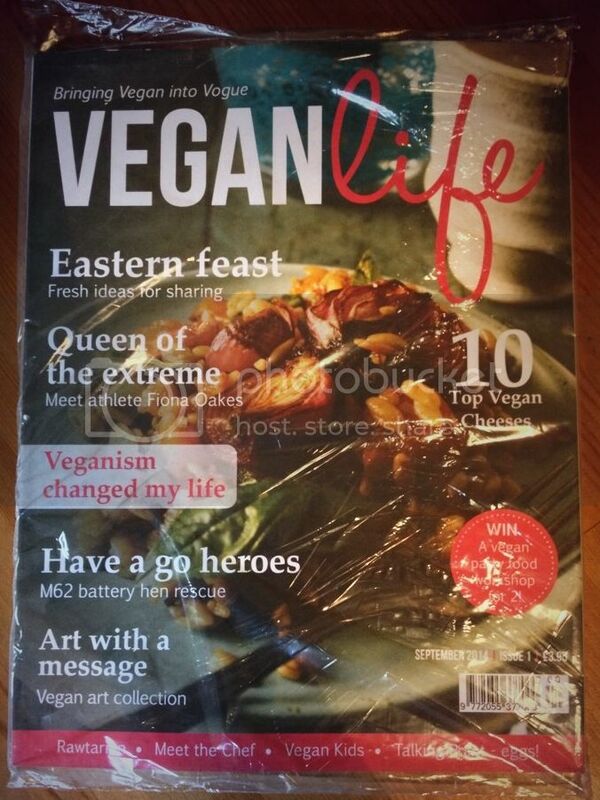 Vegan Life is now widely available in the shops - a huge achievement for a solely vegan magazine. The first issue was packaged up with a yoga magazine but I believe that it will be sold as a standalone magazine from issue 2 onwards. If you prefer to have magazines delivered to your door, they offer a subscription service - which I think I may be taking them up on! Clocking in at 106 pages, there was plenty to keep me going. The articles ranged from recipes (with gorgeous photos), to interviews with high-profile and successful vegans, to current issues and more. I read the whole thing cover to cover and must say I enjoyed it very much. I'm a sucker for recipes, and the one that jumped out at me the most as being a "must try" was the Apple Crumble Cheesecake from Jennifer at p.s....it's vegan - it looks soooo good. There were a couple of articles which brought a tear to my eye - especially the one about the chickens that were rescued following a motorway crash. The train is not the best place to read tear-inducing articles! All in all, I found this to be a wonderful magazine which I would definitely choose to read again. I'm so excited that there is going to be a regular vegan magazine on sale in shops, as I imagine this will encourage people who are vegan-curious to see what it's all about. Vegan MoFo - Final Day! Oatly and Their Fancy New Packaging!